Here’s some info on the arrangements of Elements and Variations. The name, "Elements" gives a clue that it is referring to the basic "particles" of the drama. Therefore, Elements can be said to be an appreciation of a story when it is seen "spatially" (in terms of the arrangement of dramatic items). "Variations," on the other hand, give a clue in their name that they "vary," and are therefore more "temporal" appreciations, that depend on how things evolve over time. If you look at the entire Dramatica Structural Chart (the periodic table of story elements) you will see that it is divided into four separate classes, Universe, Mind, Physics, and Psychology. Each class is the name of the largest square at the top, but also refers to the entire "tower" of sub-items below it, including Types, Variations, and Elements. The Types and Variations have different names from Class to Class, but the Elements at the bottom of each Class have the same names - in other words, the same 64 Elements appear at the bottom, most detailed level of each Class. This is because each of the four Classes is really trying to see (or get to) the most detailed understanding of the story’s problem. As a result, each Class ends up coming to the same Elemental pieces in trying to put the puzzle together. But, each of the four Classes really represents a different "take" on the problem. Universe and Physics look to the external world for the problem (and solution). Mind and Psychology look to the internal world. Universe and Mind are fixed states (arrangements) where the problem might lay. Physics and Mind are processes (progressions) where the problem might lay. So, among the four Classes, we are trying to locate the story’s problem in terms of being an external or internal state or process. If you stop to think about it, there is not a problem that cannot be classified as either an external or internal state or process. So, each class is a different take on the problem. As a result, there is a built-in bias to each Class. Therefore, though they all end up zeroing in on the same Elements, the ARRANGEMENT of the Elements varies from Class to Class, representing the "warped" view of the issues from each bias. 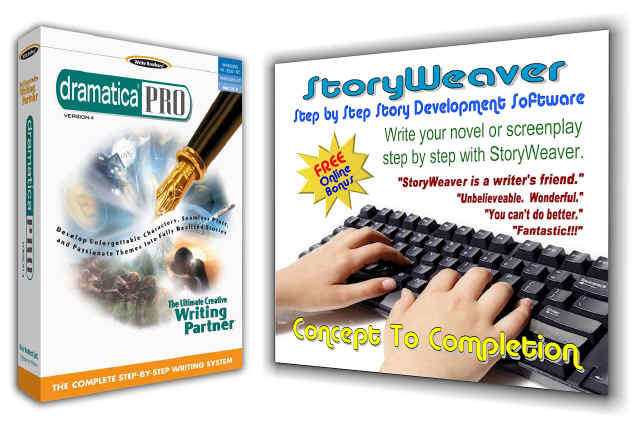 Characters are built from the Class which is selected as the Objective Story Domain. So, depending upon which Class you (or Dramatica) select, the arrangement of Elements will vary appropriately. As for Variations, it works quite differently, seeing as how Variations are more progressive appreciations. When you make choices in Dramatica about the 12 Essential Questions (Character, Plot, and Theme items, four each) you are really priming the Story Engine to run. What the Story Engine does is twist and turn the entire Dramatica structural model like a grandiose Rubik’s Cube. This represents the way the Story Mind is altered over time by experience - the process of mental "justification." The first four essential questions give a value or direction to the Knowledge, Thought, Ability, and Desire) of the Story Mind - the most basic components of self-awareness. The second four questions give a value (or direction) to Mass, Energy, Space, and Time the most basic components of the Story Mind’s environment. The last four questions determine in which realms the two forces, Consciousness and Environment, come into friction. In a sense, the first four questions determine where you are looking from. The second four questions determine what you are looking at. The last four questions determine the perspective created between the two. Armed with this information, the Story Engine twists and rotates the components of the periodic table of story elements, throwing them out of alignment with one another in a manner that represents the disparity between the Story Mind and its environment. Some of the principal items that might be dislodged from their normal positions are the Variations, which are fragile appreciations, easily shifted by justification. So, when you create a Storyform, you may be applying mental perspectives to the Story Mind that shift Variations out of their own Class, just as a human being may "project" a personal problem onto a friend or onto the environment, rather than admit it resides within.